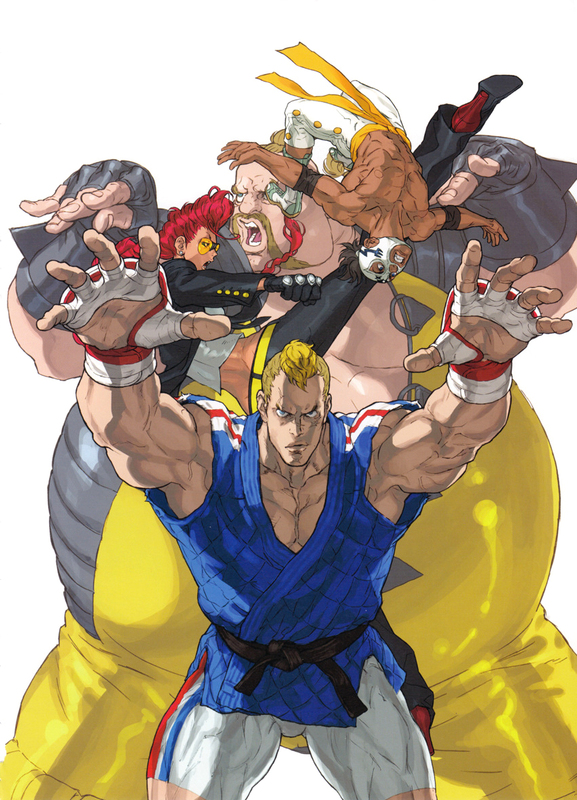 Street Fighter 4 / Illustration of the 4 new roster entry characters / Abel X El Fuerte X Crimson Viper X Rufus / Kinu Nishimura / 2008. 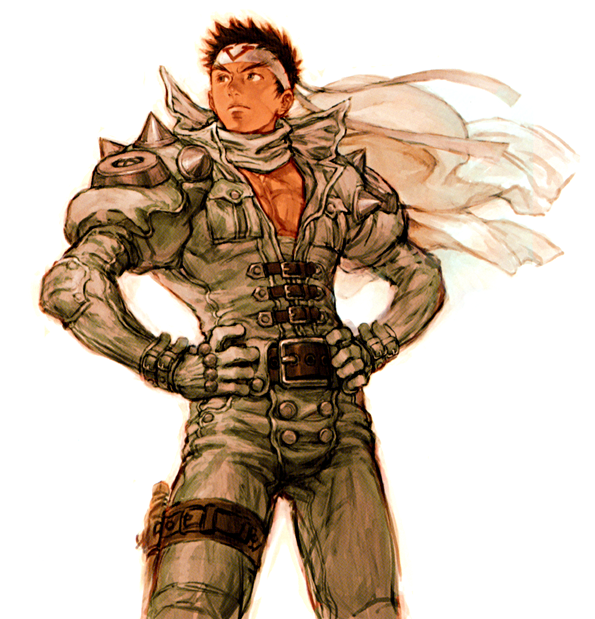 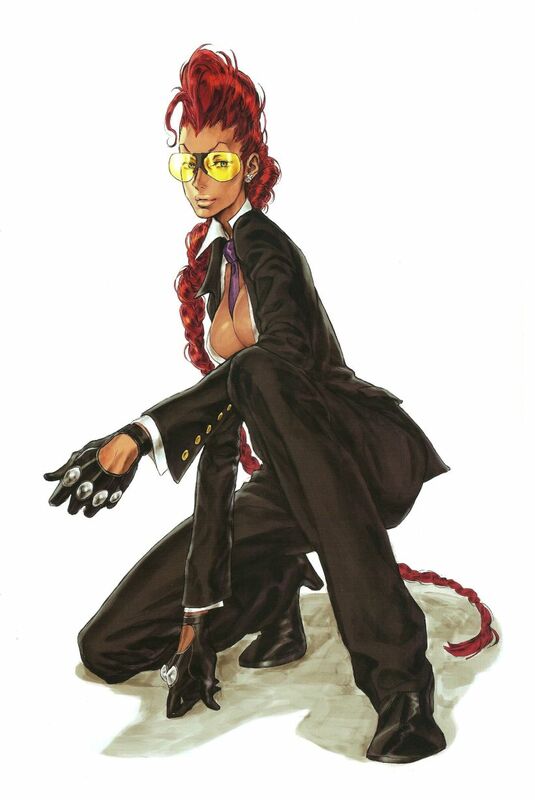 Crimson Viper / Street Fighter 4 / Kinu Nishimura / 2008. 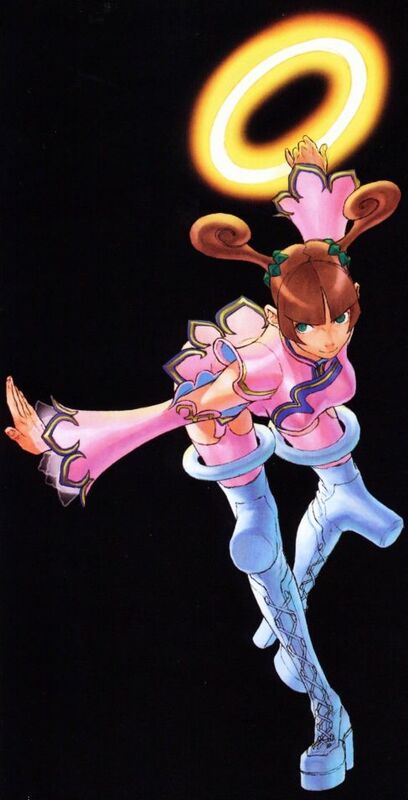 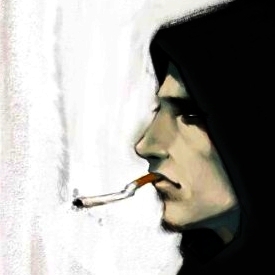 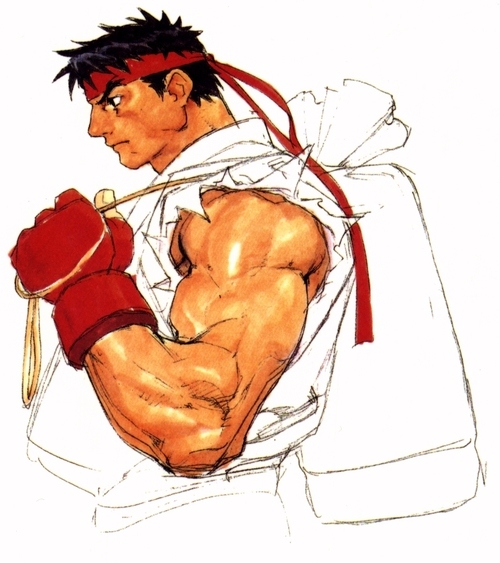 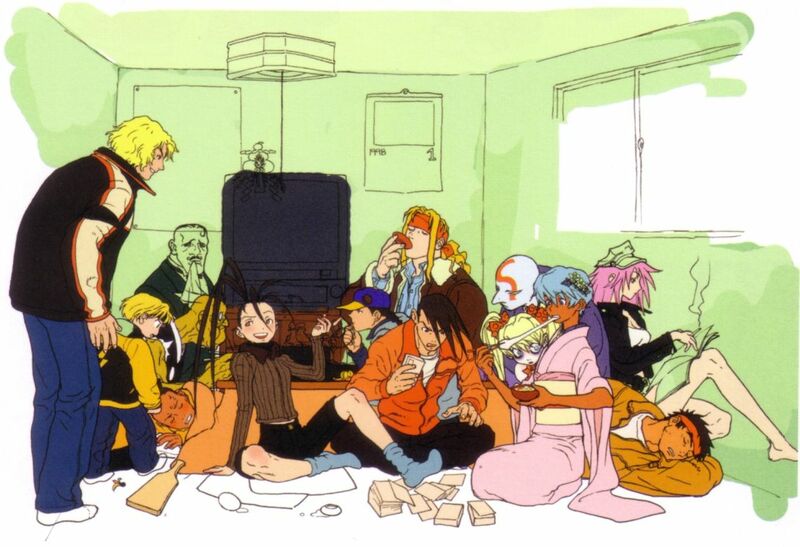 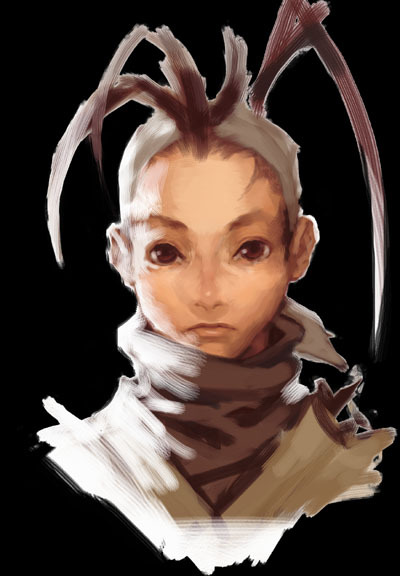 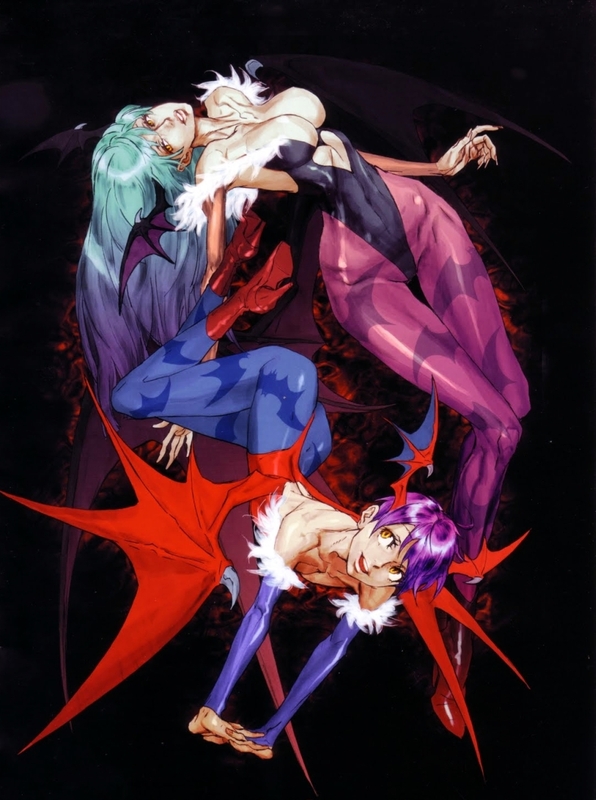 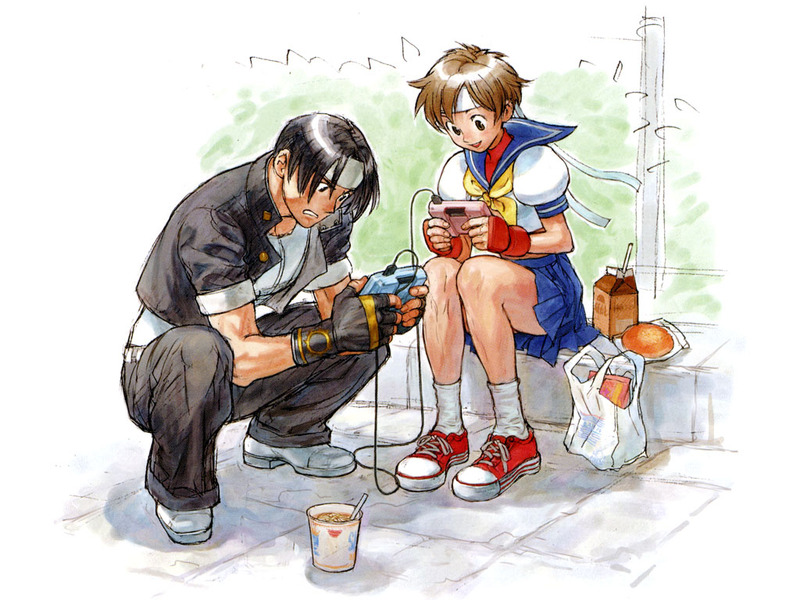 Unfinished SFIII piece by Kinu Nishimura / 1998. 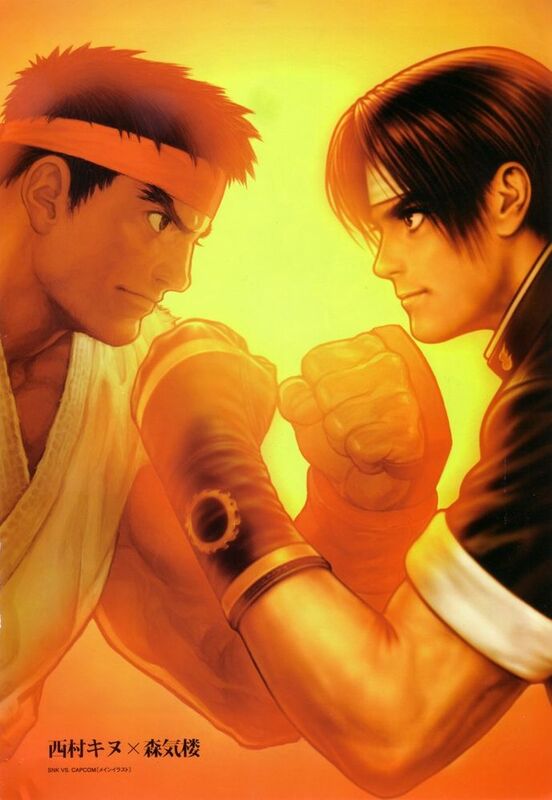 Ryu X Kyo Kusanagi / Snk VS. Capcom franchise main illustration / Kinu Nishimura & Shinkiro collab / 1999.